What is pellet making machine? Pellet making machine is also known as pellet mill and pellet machine. It uses roller and flat die to press biomass materials into solid pellets, which is an excellent fuel for heating. What are biomass pellets made from? Biomass pellets can be made from wood, sawdust, wood powder, rice straw, wheat bran, cotton stalk, corncob and other agriculture and forestry wastes. What’s the size of biomass pellets? The thickness of biomass pellets depends on the diameter of holes on flat die, which is from 2.5 to 10mm. The length of biomass pellets is adjustable with a slicer equipped under the flat die. Where are biomass pellets used? Biomass pellets are high-efficiency and environmental-friendly fuel. They are widely applied for cooking range, home heating, heat-supply system, industrial boiler, and thermal power plant. How much is a pellet making machine? The price of pellet making machines varies according to their capacities, which drive engine they adopt, and whether they are R type or D type. You can consult our sales for specific price. When and how do you deliver your products? The products will be delivered 7-15days after the payment. Transportation is available by sea, land and air. Do I need to pretreat raw materials before making pellets? Yes, only raw materials with certain size and moisture content can be fed into pellet making machine. The diameter should be between 3-5 mm, moisture between 10%-20%. 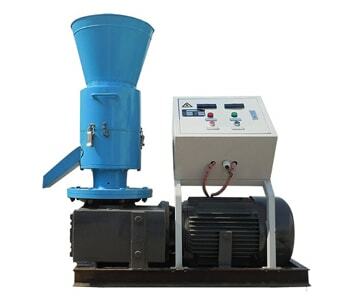 Can feed pellet machine be used for making biomass pellets? No. 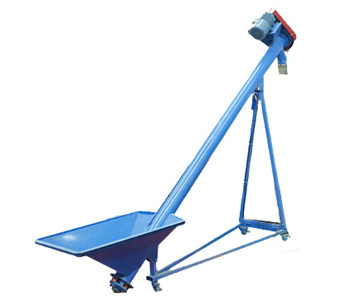 Feed pellet machines are designed to make animal feed pellets. Although they are able to process soft biomass materials like leaves, grass and sawdust, we recommend you to use specialized biomass pellet making machine for biofuel pellets production. What’s the difference between D and R types of pellet making machine? TICO produce D-type (stationary roller and rotating die) and R-type (rotating roller and stationary die) pellet making machine. The former one is a standard version, suitable for home use and newcomers. The latter one is a pro version. With more lager productivity and higher price, it is suitable for users who has larger production needs and budget. How to exam and maintain flat die and roller? Check the clearance between roller and die and abrasion of them if you find any production drawdown of pellet making machine. The clearance between roller and die should be between 0.1-0.5mm. As TICO biomass pellet making machine adopts superior components and scientific design, it has steady performance and long service life. Nevertheless, there may be some fault or abnormity during making pellets. To address your problem and spare your efforts, we present a few frequent problems and provide feasible solution. Why there is no pellets coming out? There are 2 reasons: New flat dies haven’t been fully ground; water content in raw materials is too high. Solution:Clear away raw materials in pellet making machine. Before putting them into use, you must grind the new die with oil mixture(composed of 20% fine sand, 65% biomass materials, 15% waste oil). Keep raw materials dry before feeding into into pellet making machine. Why pellet making machine suddenly stops? This problem arises from 2 factors: the voltage is too low; the roller and flat die are placed too tight. Solution: Start pellet making machine after the voltage is steady. Adjust the clearance between flat die and roller. Why the produced pellets appears too soft or powdery? 2 reasons: Raw material are too dry. The flat die has seriously worn out. Solutions: Adjust the water content in biomass materials. Replace the worn flat die with a new one. Why roller wears so quickly? Reasons: 1. The roller and flat die idle without raw materials between them. 2. There are a lot of hard impurities in raw materials. Solution: 1. Feed raw materials evenly, make sure raw materials are fed into clearance between roller and die. 2. Sieve raw materials before feeding them into hopper. 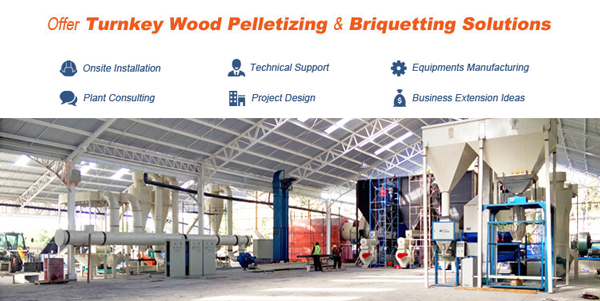 If you still have trouble with our pellet making machine, feel free to call us at any time. You can also contact your sales representative. We’ll spare no efforts to solve your problem. Our products are entitled with one-year warranty and life-long maintenance service.